When we view the Notebook list, all the notebooks look the same. The default cover may seem classy but, they seem so identical. You have to seriously read the name of the notebook to tell which one. Now we are asking to have a notebook setting that we can customize our notebooks. We can choose a picture from our album to be the cover of the notebook, like what already been done by the iPad app "Paper" by 35. This move will make costumers more love Evernote, and I am looking forward to an update for that. I rather doubt this will be high on EN's priority list/roadmap (which they do not publish.) So you can look forward to it, but it may be a long time coming, if ever. I would think a graphic difficult - particularly in terms of the UI to pick one - but a colour not nearly so bad. But as @BnF says unlikely to be high on their list. I happen to agree it would help with usability. I've just started to play around with Evernote and the ability to customize notebook covers is definitely a feature I was looking for - I actually expected it - and had to google it taking me here. The people behind Paper seem to pride themselves in re-creating the physical notebook experience of decorating the cover common to students, artists, designers, scrapbookers, adventurers... just do an image search on "notebook covers" to see the vast variety - imagine if it returned a list of all brown covers?! I agree - this would be extremely valuable, especially on iPad where fewer notebook are visible at once on the screen. Since we can't control sort order, it actually takes quite a while to find a particular notebook when they all look exactly the same. Evernote could offer an initial set of well-designed notebook covers, and I'm sure the community would rapidly supply many many more. I attempt to do this every so often, forgetting that you can't do it (it feels very natural to be able to customize the cover) ... for me, it doesn't have to be something too sophisticated, basic color/patterns to select from would work. p.s. Have you used the fiftythree's Paper app for iPad? Granted, it's very different app, but they use the notebook metaphor and allow you to customize the notebook covers without any fuss. So...how come I don't even have a "boring brown cover" but have simply a notebook list?? I'm just learning and was pretty quickly able to locate a way to change my notes to "cards" but have yet to find a way to change my notebook list into a cool brown cover. Yes, I am using Windows but in reviewing several YouTube tutorials, I was certain that I saw those notebooks demonstrated from Windows....perhaps just wishful thinking :/ Does anyone know if there is a setting in Evernote to simply change the way the notebooks appear (as there is with the notes)? This feature is not in Windows, nor has it ever been, as far as I can tell. Imagine your computer's desktop for a second. Imagine that ALL 30-40 icons on your desktop are the same, let's say a 40 brown squares. This is exactly how users perceive the notebook's view now. Impossible to find anything without going through them one-by-one, you just see 40 identical "brown" squares. Human mind recognises shapes / colours min. 100 times faster than written words. You look at 40 shapes and you instantly know that the one with a "house" is the "house" folder. However, reading through the 40 grey icons is insane. Icons have been implemented 20 years ago exactly for this reason, very sad that in 2014 a company doesn't realise this. The other issue is the "shuffling" effect. It happens both the list and cover notebook view when you open a notebook to see all the "sub notebooks". It just rearranges the entire screen in a very tiring effect, after a while I just don't know anymore what is on my screen. You click on an Album (the same way as you click on a notebook cover) to discover the list of song names. Look at how non distractive the effect is, it just pushes very gently the screen down, in ONE direction, instead of the insane shuffling method that evernote does. Please be open and learn their approach as I know for sure that they did invest great amount of time to investigate how users perceive these effects, what works and what doesn't. You "shuffling" method is raw, and confusing. Evernote WAS my every day app, but since the extremely distracting list and cover view was introduced for the notebook view, I use Evernote less and less SIMPLY BECAUSE OF THESE TWO ISSUES. It makes impossible / very distracting to manage large number of notebooks. Yes, you can manage 3 notebooks, but when you make a research, manage your company, household etc. you end up easily with 20-30. I have noticed that recently I started looking around to find a substitute. And it is silly, as otherwise the app is great, it could be simply the best - but these two things are very big mistakes, and not just little "hickups". I hope you manage to solve these. Isti, I have deleted the thread you subsequently started with this same post. There is no need to repeatedly post the same post in multiple threads or start new threads after posting the same thing in another thread. Thank you. I did it as I LOVED Evernote, and I actually want it back into my workflow and I don't want to use something else, but slowly I am drifting away. So I hoped that it WILL be noticed if it is actually a standalone thread. Please, if you do agree with this idea "music cover = notebook cover = desktop icons = functionality" than forward to management the thoughts so it is noticed. Just let them know how they would feel about a music player which has identical album covers. Evernote staff read all posts on this message board. I'm sure they understand the issue. However, many changes/feature requests (including this one) are not platform specific & would need to be something that will work well across all platforms Evernote lives on. Additionally, there are tens or hundreds of feature requests & they need to be prioritized. This particular feature request may be something EN has decided not to do. Or it may be on the list but a low priority. We do not know, since EN does not publish their roadmap. I'm kind of surprised the Notebook cover view is such a large part of so many people's workflows. I always saw it as a view to just sort and organize the notebooks themselves, not an efficient way to navigate through them. Same with the Tag view. Of course, I only have 3 crucial notebooks and 7 shared ones, so I'm not a large notebook user, as tags are a much better way to organize content in EN IMHO. Why don't you use the simple notebook list in the sidebar? That way you never have to navigate out of the main sidebar + note list + note content view. Anyway, the notebooks sort alphabetically in the notebook view anyway, right? The desktop icon analogy doesn't really apply, though, because desktop icons can be arranged randomly. These notebooks automatically adhere to a strict grid and are only in alphabetical order. Still seems like an easy way to sort them to me, but of course YMMV. I just, personally, disagree. Springpad lets you customize your notebook covers, and frankly, it's one of my least favorite features. Because Springpad's tags only work inside notebooks (another despised feature), I need a ton of notebooks in there for the items I store, and it's a chaotic blob of images I'm sorting through to find what I'm looking for. The much cleaner layout of Evernote is leaps and bounds easier than this. Setting EN up with the Notebook list and Tag list in the sidebar is the bee's knees. I do have my gripes about how some things, appearance-wise, work in Evernote (I could die happy if we'd just get the ability to set different card view settings per notebook), but IMHO the Notebook/Tag view will never be ideal ways to sort content, regardless of their screen appearance. Lists are cleaner and faster. Wow...I totally missed that!!! Thank you! Notebooks have covers? Ok, yes I know they do. However, I can't think of any view I regularly use where I have any reason to look at them. What you guys say here is a bit like Apple saying, no, you cannot have music album covers - there is no need for it, you can search for your music just by typing in the search field. People here seem not understanding that there ARE people who have DIFFERENT way of working, and they do need to have an overview of notebooks. What is wrong with that?! What is wrong with at least giving it as an option, and if you don't want it, you stick to your brown square, that's fine, too. Someone says "cannot think" of any use where you need a reason for notebook covers. Well. Here is one, and I can give you another 100 examples. Imagine an elementary school teacher, who has let's say 2 classes each with 23 students. In many countries, there is only one person teaching all subjects up until age 9 - and only then they have separate teachers for each subject. So that is really a lot to manage for one person: 20-40 students, elementary math, art, language etc..
Let's say, this teacher then wants to follow the progress of each student in each subject for 2 years. He/She wants to save all their tests, drawings etc. for later, easier annual review with parents etc. each subject = one sub notebook. This teacher also has let's say a small weekend freelance business, household to manage, bills, car maintenance and holiday plans and other areas of interests. That's a lot of notebooks. We are already at 40-50 notebooks. Wouldn't it be SO MUCH easier if he/she just looks at the notebook covers and straight away you know where is "Tom's" files, and where are holiday plans? I still insist, it is EXACTLY the same as music album covers. No music album cover = struggle to find your music. Human mind identifies shapes / pictures hundreds times faster than going through text OR you need to remember you tagging etc. The fact that some people may have 3-5 notebooks doesn't mean others have the same way of managing works. I think it is a really big mistake not giving people the option to put a picture on their notebooks, you simple cannot manage larger database. That's all many-many people ask for. Please point out where *anyone* has said "no, you cannot have music album covers - there is no need for it, you can search for your music just by typing in the search field." I"m pretty sure no one has said that. I suggest you re-read the posts. The fact that some people could not care less about them is as legitimate as others asking for them. Additionally, it doesn't matter what anyone says unless it's an Evernote employee, since everyone else is a user & has no more or less input on the direction of the product than any other user. Yes, I have a different way of working than you do. What is wrong with that? What is wrong with my stating that? Further, I will state that I hope Evernote doesn't spend its finite development resources on this feature. That is also an opinion to which I am entitled. No one's saying that. All we've done is the same as you -- express our opinions on the topic at hand. And since we're not Evernote employees, it's not like Apple saying this, it's like your cousing Bob saying it. We're just users, too. Of course there are different ways of working, as evidence by our responses compared to yours. I disagree that you NEED (can't live without) notebook covers, though. Might make sorting easier for you? Okay. Need? Nah. Insinuating there's nothing wrong with adding additional features to make everyone happy is false, however. Each feature takes time, and something like this would probably (though I have no idea, I'm not a developer) take a lot of staff time to implement, taking time away from what are IMHO much bigger problems like updating the note editor, security fixes, etc. Pros and cons must be weighed. I agree, that's a lot of notebooks... which is why I'd suggest moving those all to tags. When they're in separate notebooks like that, you can't pull up say, all Science notes from all students. If you had all the notes together in say, a School notebook, you could tag them with the student's name and subject, and anything else relevant, and pull up any combo of information. With notebooks you are stuck only viewing one Notebook at a time. But I digress! I disagree. Albums contain finite items that never change and never belong anywhere else. If you constantly try to associate flexible items that pertain to more than one thing at a time, image identification starts to fail. But this is all philosophical, and we'll never agree. I just know from personal experience, when finding info in Evernote vs. Springpad, it's MUCH easier in Evernote. YMMV and it obviously does, and that's cool! Not to be a wet blanket, but you and the few other commenters in here are the first I've seen ask for it. I'm sure there are others, but not nearly enough to be a noticeable trend in the Forums. Past here, none of us have any idea what's asked for -- only EN employees can tell you that. I'd bet money that it's not one of the top feature requests, though. Just my opinion, but there are many more features I've seen repeatedly clamored for in here than customizable notebook covers (true hierarchical tags and a better note editor being two I've personally chimed in for). At the moment, there is no interface on the iOS version of Evernote where you can see notebook covers, so this would also have to be entirely rethought. There would be no sense in having custom notebook covers if they aren't displayed on EVERY device you are using right? This would require a relatively dramatic UI overhaul. Plus, there'd have to be the technical back-end infrastructure in place to sync these custom images across your devices and across various platforms. This could actually be relatively technically complex. You'd also have to make sure that the dimensions of the image are suitable or can be properly scaled or cropped to display on a desktop, a tablet, a phone and so on. this might mean automating the image processing and storing several copies of each image based on the user's devices. This is not trivial either. The only solution would be to allow for a limited number of pre-fab notebook covers to choose from (say, different colours) that could exist as assets that belong to the application file and would therefore not have to be synced (just a small line in a preference file would need to be synced, no actual assets would need to be synced). The downside to this simplified implementation is that while it is technically less onerous (though still would require a fair bit of effort to bring to all platforms, which would likely be a requirement of implimenting this feature effectively) it only partially fulfils your feature request. Personally I would rather they devote resources to refining their text editor before they do custom notebook covers. I am not saying this is a bad idea. I am just drawing attention to the fact that even if this were something Evernote might want to implement, it would not be an overnight affair. It would be a very large scale effort. Every time I see the plain brown covers of the notebooks I wish this feature was included. I don't need to be able to use my own graphic (tho that would be cool), colors would be okay. I can understand how single users might not find this feature useful, but for our little graphic design outfit with a business account and multiple users, it would be quite welcome. I really expected the option to be there when I began searching, and am rather surprised something so obvious hasn't been included by now. This should have been a feature since day 1. After I made my ~8th notebook, it got very very difficult to easily locate the notebook that I was looking for. Being able to change the colour/pattern of a notebook would be great, but being able to add a "front cover" (a photograph) would be even better. It would be great if you could drag an image to each notebook and then that image would be the front cover of that notebook. Hard to manage many Notebooks. It would be just satisfying to find them by visual recognition. I can find them by search. That's not a problem. But visual recognition is different. And we all like it, otherwise I would not have an ability to upload avatar here. You can use emoticons and that kind of helps, also number them and order by number so that you can access them easier. 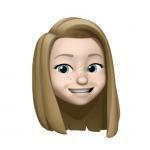 Ruth, emoticons is a genius workaround! That's fantastic. It works for tags too. I'll try them for tags, thanks! This workaround is great! Very helpful in lieu of notebook customization. Along with a lot of people in this forum, I would very much like it if Notebooks in Evernote could be customized. Regardless of the fun possibilities of this feature, it would make going through my Notebooks list a lot easier. Even just a color coding would be great. I understand that this might not be useful for some people, but having different colored notebooks and folders helped me stay organized in school, and helps me now in my professional and personal lives. This might sound silly, but simple visual cues like different items in a list being different colors or having different image image associations help me to overcome ADHD issues. It allows me to be able to scan a list and quickly differentiate items from one another, nipping focus problems in the bud. 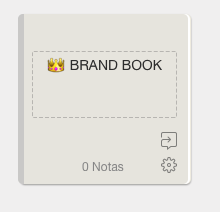 Emojis in Notebook titles definitely helps, but customizing Notebooks will make finding my Notebooks faster and easier. Huge + for the custom covers with images. Like several people here I too had to do a Google search to find I cannot change the covers of my numerous notebooks. It really really would be a great asset as trolling through them all reading every single title is a pain. As they say a picture paints a thousand words. My evernote is full of pictures and photos and very little words. I am a visual person so this would help enormously. Bumping this. I just started using Evernote and on day two already I found myself right clicking about, searching menus, and dragging an image file onto a notebook. None of it worked, I went Googling, and was in every way surprised that this feature isn't in yet. The Notebooks view is IMHO not just boring or chewy, it's downright repulsive, even with the meagre three notebooks I have in there, and the trash thingamajig which uses the exact same bloody cover. This seriously made me recoil from my initial love for this product. Please let this be addressed somehow. As I've read this thread I see many have strong opinions on both sides so I won't belabor the point too much but, yes I think providing additional visual clues at the notebook overview object would be nice to have. There are many ways to view and organize notebooks but for myself working with a number of external companies I would love you use their brand logo as the cover to more quickly jump between active projects. While I understand there are technical commitments to this ask I think starting with a minimal approach of native color/gradient options would be a reasonable starting point with minimal work. The concern of syncing between experiences, i.e. mobile and desktop, I think it is being overstated. Clearly Evernote has the ability to sync between devices and user accounts as they have proven with their shared notebooks and cohesive experience with files and images attached to notes. This would be an extension of existing capabilities so I do think this could be implemented fairly easily. The ability to customize notebook covers would be a significant improvement. 2017 and I think that this thread still receives comments is pretty telling. Being able to add a custom color to notebooks and notebooks stacks is something that would make the Notebook View less dreary. Jeez...is this still not a feature? It's such a no brainer. It would greatly improve ease of use, visual appeal, etc. I'd love to add client logos to the cover of the notebook for each client. 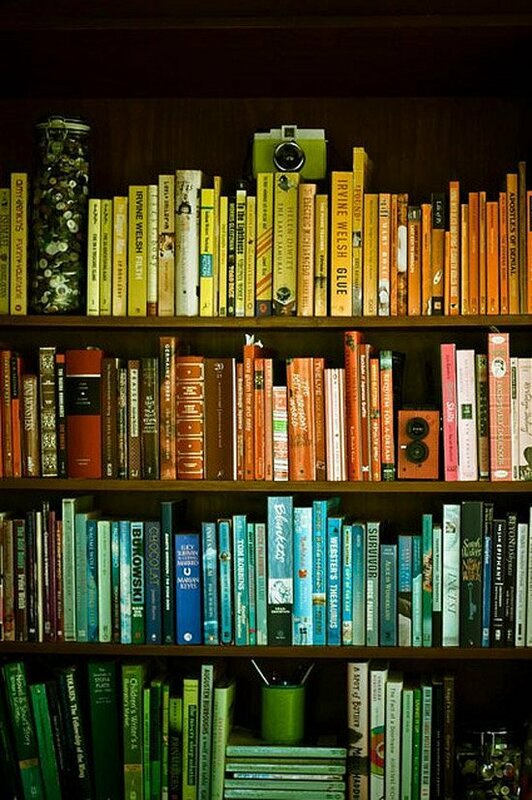 And to color code notebooks by category. Everything as it exists now is just grey, black and white, and looks identical. The fact that as of May 2017 this is not possible is just astonishing.